Northampton has an excellent shopping centre full of quality stores, there are plenty of interesting museums and galleries and the town is packed with great walks and trails to explore. What makes Northampton an ideal place for families is its proximity to great kiddie friendly attractions. Families on holiday are always on the look out for dynamic, exciting and engaging places where kids are safe and entertained. There are a number of fabulous days out within easy reach of central Northampton that are guaranteed to entertain and wear out the kids. In Northampton itself there is the Frank Newhall Look Memorial Park a couple of miles outside the city centre is a world of outdoor adventure, featuring a mini zoo, train, pitch & putt golf course and loads of open spaces to run, explore and have a picnic. Holden House and Gardens, while having wide open spaces for kids to run and play they also have the falconry centre where they can watch trained birds of pray fly and feed. The site also has a souvenir shop, museum and traditional Victorian tearoom. Rockingham Castle in Northampton provides all the realism and excitement of a civil war battle during its festival days. The fortifications have over 900 years worth of history to their name and the visitor’s centre brings to life what it was like to live within its sturdy walls. Wicksteed Park has 147 acres worth of fun for all the family. Wicksteed Park is a theme park with traditional rides like the rollercoaster, log flume and pirate ship. While younger or nervous visitors can enjoy such rides as the ladybird ride, carousel and the dodgems. Adults can also look around the vintage car collection or take pleasant strolls in the beautiful sunken gardens. Bezerk Leisure Park is Northampton’s large indoor play area, here kids can enjoy climbing, jumping and sliding around the activity centre. There are ball ponds, bouncy castles, slides and climbing frames for them to work out their energies on while parents take a five minute break in the café. Northampton Park Inn hotel by Radisson is a modern centrally located hotel with 146 spacious and well-appointed rooms. Their family friendly restaurant caters for all and there is a health centre with sauna, weights room and swimming pool where the family can have fun together. “The round Norman Church in Northampton" - Locally this ancient church is known as Holy Sepulchre or St Sepulchre's. But more fondly known as St Seps. There are ample attractions for all the family in Northampton, whether you like wandering around country houses and their grounds such as Althorp House or the excitement of motor racing at Silverstone. There are also specialist museums like the Canal Museum and designer Charles Rennie Macintosh’s house, 78 Derngate to visit. Northampton definitely has fun for all the family. 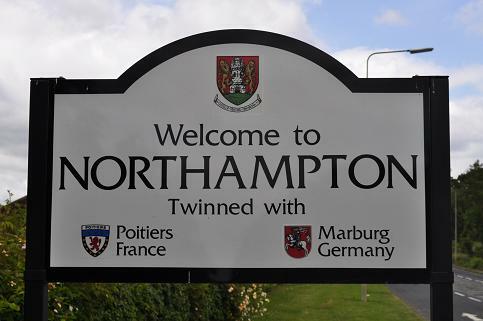 Northampton town has been growing by leaps and bounds, largely due to the well-planned expansion of the New Towns Commission. As a result, there has never been a better time to visit this bustling and lively area. With the recent renovations, the town has come to vibrant life and there are all sorts of things for the day-tripper and the casual tourist to do and see while in the area. Visit also accommodation Gold Coast. And it was clear that here ... the East began: in this chaos of uneconomical movement, the self-stimulated din, the sudden feeling of insecurity, the conviction that all men were not brothers and that luggage was in danger. Really impressive post! Your post is one of the best sources for those who want to plan a Northampton trip for the upcoming vacations. Well Wicksteed Park multiple times with my family and this place has never lost my interest yet. It is a great place especially for kids, with a good selection of small roller coasters, dodgems, pirate ship, cups and saucers, petrol fuelled go karts and many other activities. However now I’m going to plan a family trip to enjoy the warm weather outdoors. For that I’m looking forward some information about bus trips from NYC . Hope you guys have plenty of ideas for me!